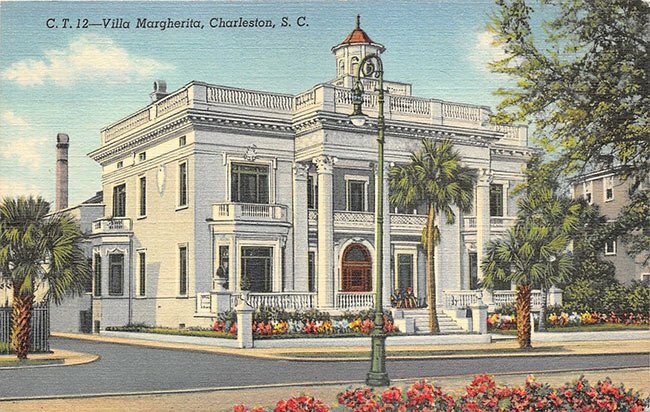 The Villa Margherita is a historic mansion located at 4 South Battery in downtown Charleston. 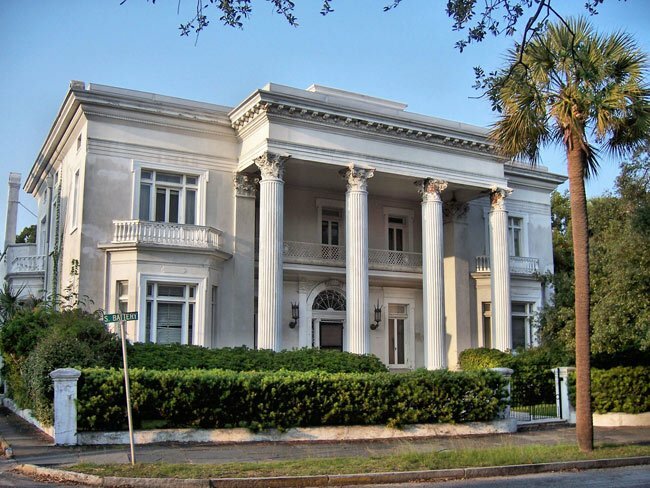 The home was financed by Andrew Simonds, founder and president of the First National Bank of South Carolina, and given to his wife Daisy as a wedding present in the mid-1890s. Simonds recruited famed New York and Chicago architect Frederick P. Dinkelberg, who also designed Manhattan’s famous Flatiron building, to create a home that would reflect his expanding fortune. Dinkelberg’s design combined the emerging Beaux Arts style with the popular Renaissance Revival style. 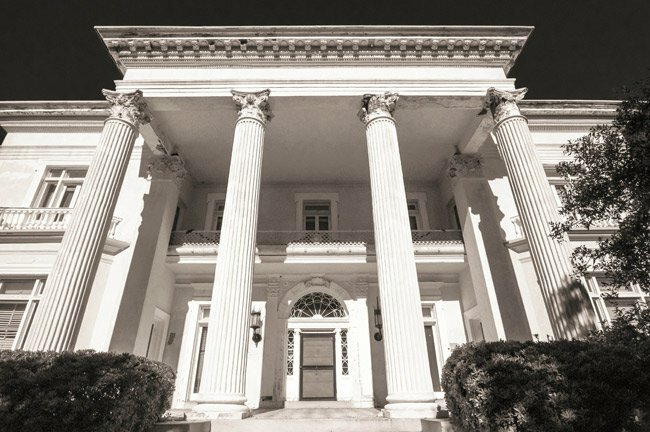 Key features of the home include the Corinthian-columned portico, a second-floor ballroom, and South Carolina’s first indoor swimming pool. 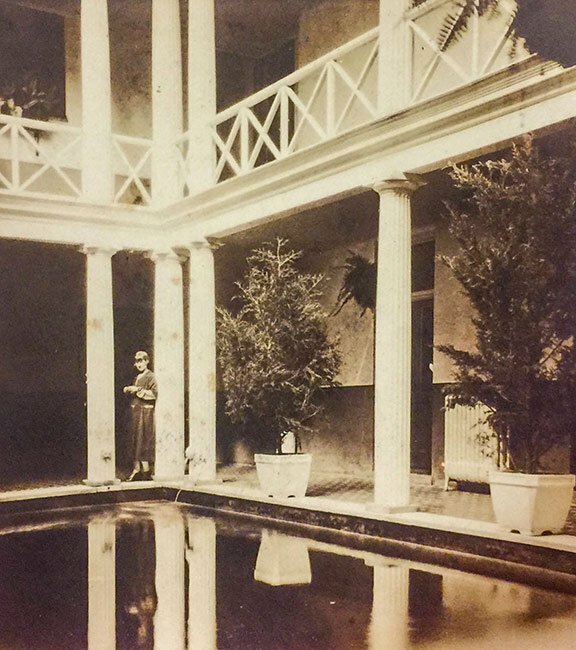 The interior swimming pool has been closed in during renovations but an early 1900s photo of it can be seen below. The home served as a famous inn from 1905 through 1953 and hosted three United States presidents among other prominent guests. 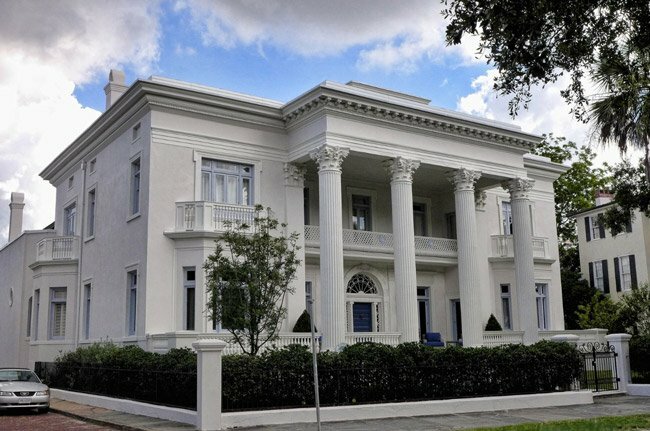 Its location directly across from Charleston’s White Point Garden makes it a point of interest on walking tours. Though the home had fallen into disrepair over the years, new owners who purchased the Villa Margherita in 2012 have restored the home. The results of the restoration can be seen in the photo from 2016 above on this page. 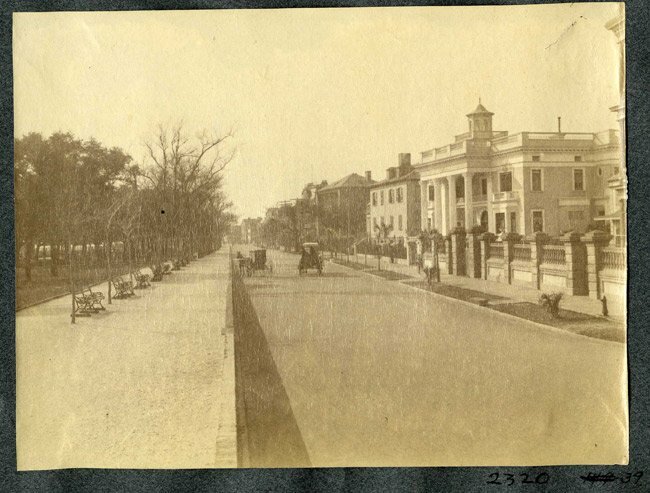 The historic photo above depicts Villa Margherita on the right side of South Battery Street in the late nineteenth century when it was still owned by the Simonds family. The photo now belongs to the Olmsted Archives, but at one time it belonged to J.C. Olmsted. 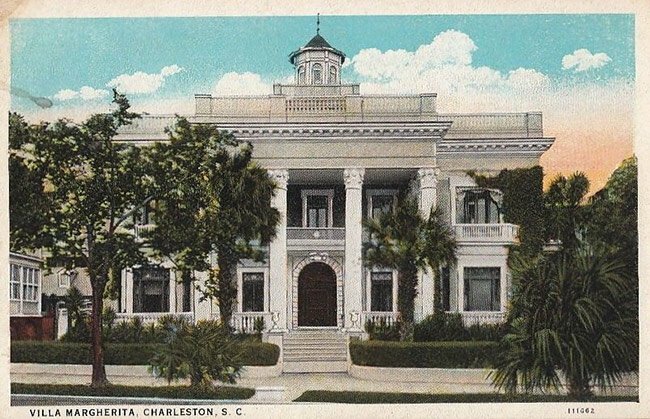 Olmsted and his brother, Frederick Law Olmsted, Jr., were landscape architects who designed Charleston landmarks such as Chicora Park at the now-shuttered Navy Base as well as Hampton Park near The Citadel. Their father was Frederick Law Olmsted, the landscape architect who designed Central Park in New York. 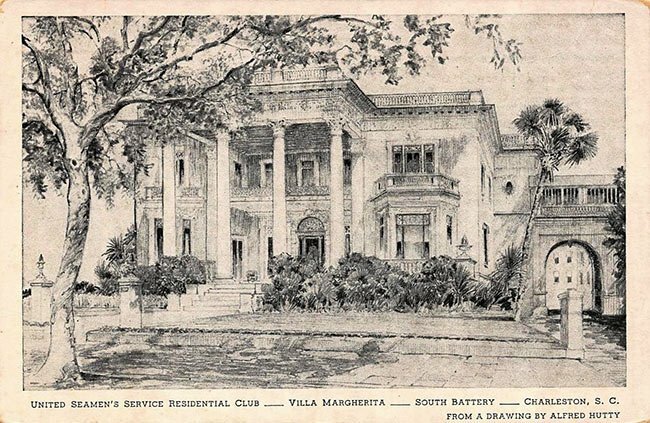 The image of the Villa Margherita below is from an advertisement that was originally found in the 1928 prospectus for membership in the Yeamans Hall Club, a former rice plantation turned exclusive country club on the Cooper River outside of Charleston. Love the photos from the different eras! 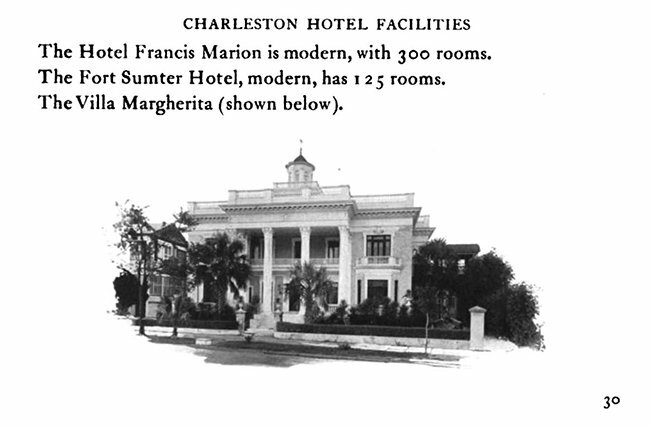 One of my favorite Charleston landmarks, I was able to get a few fairly nice shots of the Villa Margherita prior to its restoration, although I would love to take more. 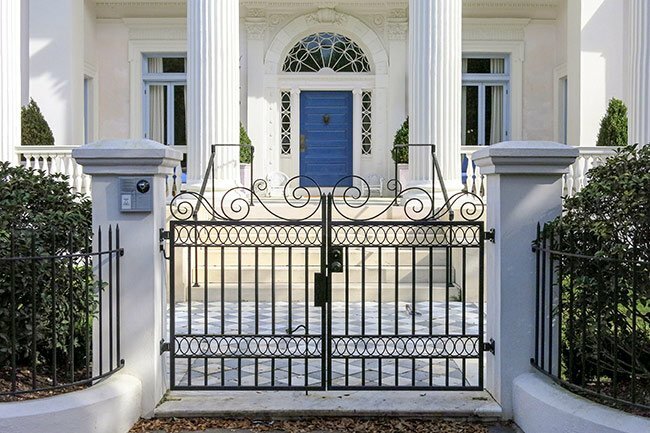 What a wonderful example of Charleston architecture.